~ We sincerely hope that your visit is both relaxing and enjoyable. 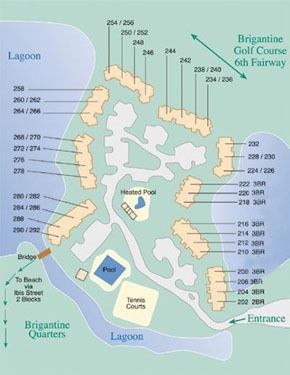 In order to make your stay more pleasurable, we have listed general information that should be helpful to you. 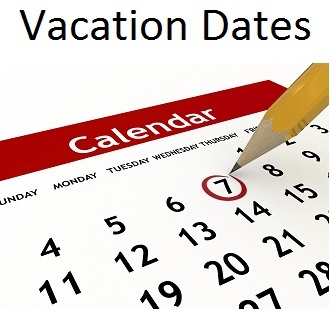 ~ Island Management office hours are Monday - Friday 8:00 AM to 3:00 PM - Saturday 3:30 PM to 6:00 PM and our offices are closed on Sunday. ~ Our office phone number is 843-842-2201. Should there be an urgent matter after hours, you can reach our staff at 843-247-1949 and 843-247-1950. ~ Check-in time is 3:30 PM and check-out time is 10:00 AM. If you are leaving prior to Saturday, please advise the office. ~ Please be mindful that between 10:00 AM & 3:00 PM the units need to be cleaned and prepped by housekeeping and maintenance to prepare for the next occupant. This time provided is not long, therefore delays in checkout or early check-ins cannot be allowed. ~ A credit card imprint for a security deposit is required at check-in from any guest checking in that is not listed on the deed as an owner of Brigantine Quarters. All major credit cards are accepted. ~ NO PETS ALLOWED! This policy is strictly enforced. If a pet is found on property, you will be required to place them in a kennel immediately and also pay a $1000 penalty/fine. Additional fees may apply if damages are discovered. Failure to comply with this policy will result in you being asked to leave the property. ~ MAXIMUM OCCUPANCY for all 2 bedroom units is 6 persons and all 3 bedroom units are 8 persons. This is strictly enforced! ~ Smoking is not permitted inside the units. Smoking will only be permitted on the balcony/porch area of each unit. A fine of $150 will be charged to the occupants if a violation occurs. ~ Each unit is well appointed with everything you should need while on vacation. Linens for 6 or 8 people (depending on the unit size) are provided as well as a fully stocked kitchen. Please find a complete list of inventory items under the Our Units page. Please be aware that pool/beach towels are not provided and we ask that you do not use the bath towels as a supplement. ~ There is a small swimming pool on site that is heated during the months of March, April, May, September and October. There is also a larger pool on property that is not heated. ~ Bikes are highly recommended to fully enjoy your vacation. Please call Palmetto Bikes at 843-686-6068 to reserve your bikes in advance. In the summer months bikes do tend to sell out. All Brigantine Quarters owners listed on the deed will have use of 2 bikes free of charge during your stay. The owners must be present at check-in to validate. ~ There are 6 gas grills located on the property for your use. Please do not use any self-provided charcoal grills on the back porch of your unit. ~ Some units are equipped with a log burning fireplace. Please use caution while using the fireplace. Please remove unburned logs and ashes from the fireplace before departing. There is a charge from housekeeping if proper clean-up is not completed. 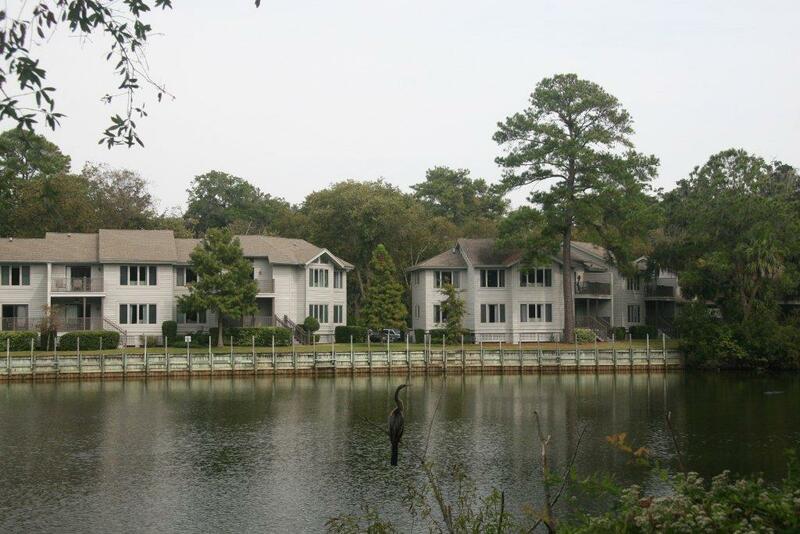 ~ We have 2 private tennis courts on property available free of charge for all Brigantine Quarters owners and guests. ~ All local and long distance phone calls are free of charge. International calls cannot be completed through our phone system. Each unit is equipped with free Wi-Fi that does not require a password. ~ Should you need any baby items (cribs, playpens, high chairs, etc.) during your stay, please contact Baby’s Away at 1-800-961-9030. Any items you reserve will be delivered directly to your unit and set up prior to your arrival. ~ Alligators live among us! Be gator safe! Please do not approach or harass the alligators. Never feed an alligator. 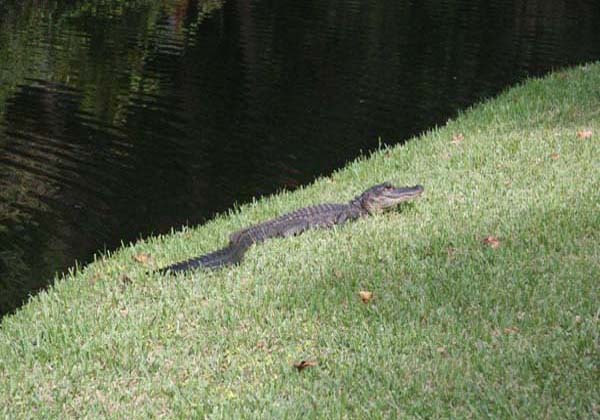 A fed alligator loses its natural fear of humans. This can pose a danger to the public and ultimately results in having to remove and put down the alligator.